Swampcare takes you to some beautiful places, like the Valley View swamp at Blackheath, here photographed in the mist. This is part of the swamp system that feeds Govetts Leap Brook, also known as Braeside. 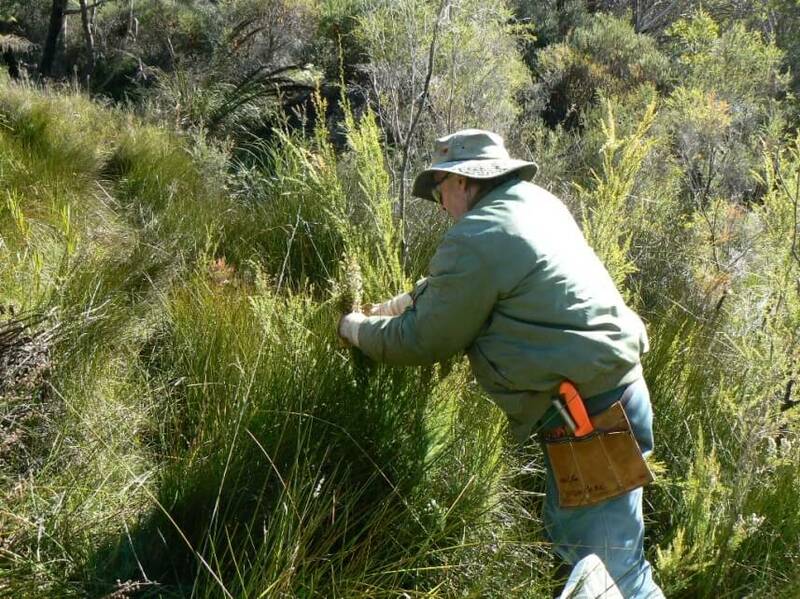 Swampcare has continued the Threatened Species program, in organising and supporting Swampcare events. The Swampcare program provides a series of 4 full day events each year. Volunteers are welcome to attend any or all of these events. Working in swamps has a particular appeal for some and attracts regular experienced volunteers. It is not always or even often working in the mud! Most Swampcare events are suitable for new volunteers as training is provided on site. All sites involve only a short walk in from road edges. All tools and safety equipment are provided by the Bushcare officer in attendance. This program has been supported by Hominy Bakery since 2008, which has provided volunteers with delicious goodies for morning tea and sandwiches for lunch. Promotions and activities are coordinated with the NPWS volunteer program. 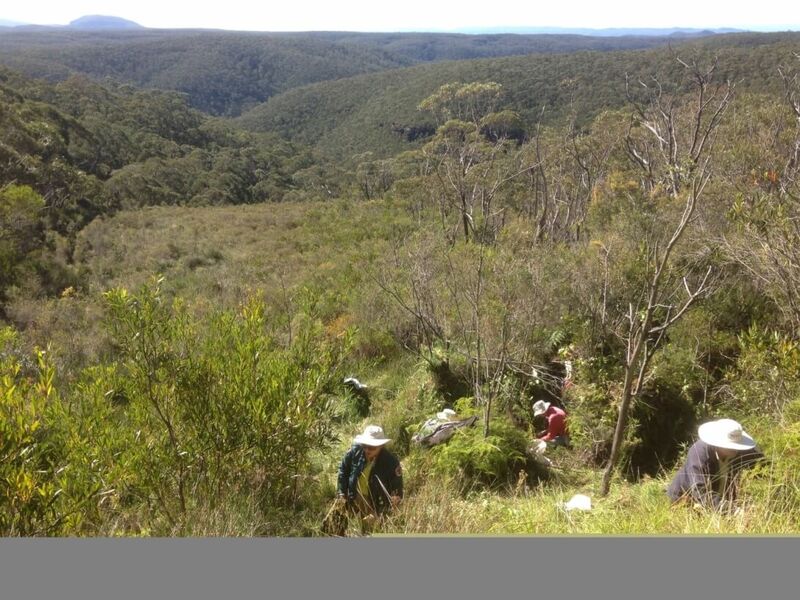 Jointly organised events enables work to occur on both Council land and National Park, as in the case of the ‘Kitty Hawke’ Swamp in North Wentworth Falls. There are fact sheets below that are also useful information for those working or living close to swamps.